Betsson – Live Casino Jackpots! Arer you up for the challenge? Win growing jackpots on Live Roulette and Blackjack! Exclusive for players from Finland, Germany, Iceland, Netherlands, Norway, Peru, Poland, Sweden and Switzerland. 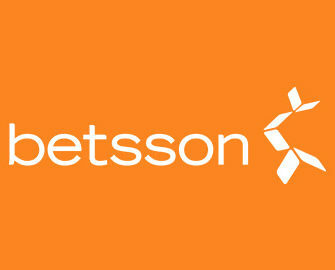 If you are a Roulette or Blackjack enthusiast then you can look forward to this exciting promotion at Bettson. They have set-up an ongoing cash jackpot that increases every day by €1,000 for Live Roulette and €500 for Live Blackjack until one lucky player wins it. The jackpot will then be reset and the game starts again at €1,000 / €500. LIVE Roulette Jackpot: Spin on their Evolution Roulette tables – Speed Roulette, Immersive Roulette and Roulette – with minimum €2 and hit the daily number three times in a row with no other number in between and you are the winner. The daily number corresponds to the current date, e.g. 7th July March means number 7. If two players are winners then the jackpot will be equally split. 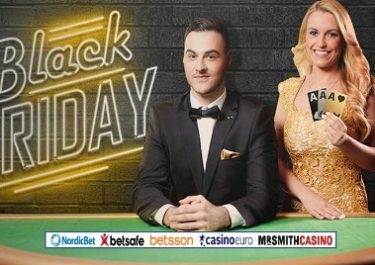 LIVE Blackjack Jackpot: In order to win the Blackjack Jackpot, you must get 3 Blackjacks dealt in 3 consecutive hands on the Betsson Exclusive BJ table. A blackjack is considered getting the sum of 21 with two cards. The minimum bet to be eligible for the Blackjack Jackpot is €10. Jackpot amounts will not be updated over the weekend and jackpots won between Friday and Sunday will be paid out the following Monday. After a jackpot is won, it will reset to its initial value and the promo will continue with the same mechanics.